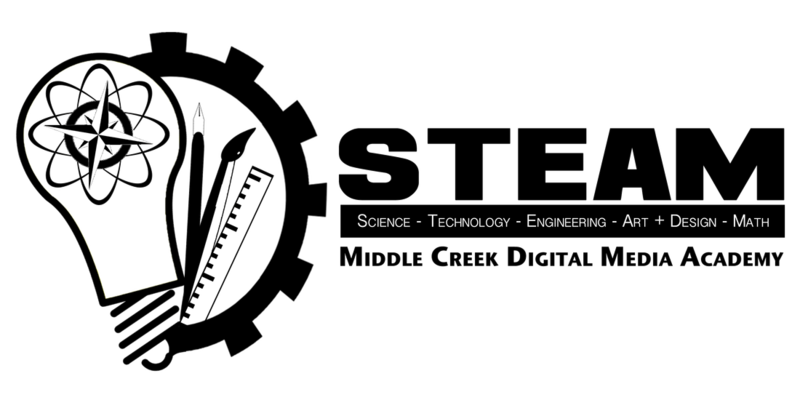 Middle Creek High School is a STEM school. What does that mean? Put simply, in all curriculum, teachers are implementing aspects of STEM into their coursework. In the Digital Media classes we are pushing the envelope of STEM and adding the arts & design. Our students rely on creativity to produce amazing videos, awesome t-shirt designs, and cool animations. All of this creativity is an expression of the student. Art is self expression. So by incorporating the Arts, STEM becomes STEAM, Science Technology Engineering, Art + Design, and Math. We will be creating different STEAM projects and posting them here on our site. Check back to see the great work our students are doing. Using paper, paper clips and tape, student teams design flying devices to (1) stay in the air as long as possible and (2) land as close as possible to a given target. Student teams will use the engineering design process to guide them through the initial conception, evaluation, testing and re-design stages. The activity culminates with a classroom competition and scoring to determine how each team's design performed.